For second and third English civil war history, refer a separate article: The Civil War that took place in Britain can be categorized into three years when the war broke out. The First and the Second Civil War took place during the reign of Charles I, that is, between 1642- 1646 and from 1648-1649. 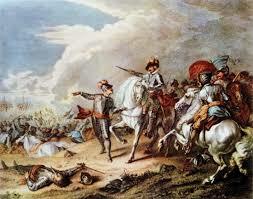 The Third War was however fought during the rule of Charles II from 1649-1651. The common link in all the three wars was that it was a fight which erupted between the Parliamentarians and the Royalists. The First Civil War was fought from 1642-1646. Charles had left London in 1642 as he feared for his and his family’s safety. It was the time when Charles was powerless as compared to the Parliament. The Royal Navy and many of the English cities lent their support to the Parliament. The rural communities favored the King. It is believed that both the King and the Parliament had an army of only 15,000 men to fight the war. The war spread like wildfire which every level of the society was involved. Both the King and the Parliament and their respective supporters believed that they were fighting the war too for the traditional government in Church and state. The first battle of the war was fought at Edgehill in 1642. This battle was however inconclusive. The second time when both the parties meet at the battlefield, Charles had to escape to Oxford. In 1643, the Royalist at Adwalton Moor and took control of most part of Yorkshire. Another battle was fought in 1643 proved to be inconclusive. The Royalists proved victorious in the battles fought in the west of England. 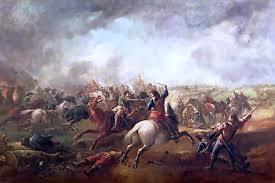 The Battle of Gainsborough was won by Oliver Cromwell’s troop ‘Ironsides’. Thus, the Royalists were successful during the early stages of the war. However, the army of the Earl of Essex won the battle against the Royalist in the First Battle of Newbury. 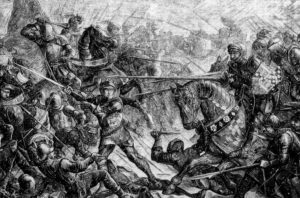 The subsequent battles like the Battle of Winceby, Marston Moor were won by the Parliament. At the Battle of Lostwithiel, the Royalist was victorious. The Parliament was able to crush Charles’ army in the Battle of Naseby and the Battle of Langport. The First Civil War came to an end with imprisonment of Charles by the Parliament.